It’s not easy being green, but it sure beats trying to make your way in life doing things like everybody else. Enter Piff the Magic Dragon and his off-the-wall novelty act. John van der Put developed an interest in magic as a teenager growing up in the U.K. He was inspired after seeing Jerry Sadowitz on the BBC2 show “Stuff the White Rabbit.” At the age of 18, he became a member of The Magic Circle, and was one of the youngest members to lecture there. But he couldn’t quite get magic off the ground, until, quite by accident, van der Put dressed up in a green costume and became Piff the Magic Dragon. Tides changed and so did attitudes and pretty soon Piff earned multiple awards, he toured as a supporting act for Mumford and Sons, and he appeared on Penn & Teller’s “Fool Us” TV show. The 10th season of “America’s Got Talent” propelled the angsty magician to new levels. He credits his successful rise to his sidekick Mr. Piffles, a little dog with a big talent, a.k.a., “The Dog Who Knows.” The dynamic duo found a home at The Flamingo in Las Vegas and recently filmed their first one-hour special there, featuring Penn Jillette. Van der Put also hosts The Piff Pod with his friends, the Dragon Squad, where they discuss weekly adventures and catastrophes. The podcast is recorded live in Vegas, as well as, on the never-ending #PiffTour, available on ThePiffPod.com. Podcasts, specials and performing regularly in Vegas, isn’t enough for Van der Put. Piff and Piffles have embarked on a national tour, “The Dog Who Knows,” which features never-before-seen-tricks, all new jokes and Mr. Piffles in his latest disguise as a mind-reading marvel. The two will headline the Fiesta Showroom at Harrah’s Laughlin for the first time Saturday, Sept. 8. Talk a little bit about your background and how Piff the Magic Dragon came to be. Piff: Well, I was a magician for about 10 years and I was being fired everywhere because I was too grumpy. People were like, “What is your problem?” But I wasn’t being grumpy, it’s just that I had a resting grumpy face. Everyone just thought I was grumpy so I was steadily running out of employment. I went to a costume party one day in a dragon outfit, and when I turned up, no one else was in costume, it was just me. So then I was grumpy for a reason. My friend said, “You should do this in your act, you could be ‘Puff the Magic Dragon. '” I said, “Wait, I could be ‘Piff the Magic Dragon. '” So about a year later, I tried it, and it was an instant hit and everyone who fired me for being grumpy, rehired me because apparently a grumpy dragon is hilarious. In the end it worked out. When did “the Dog Who Knows’ come into the picture and what is it that he knows? Piff: In 2009, I was doing the Edinburgh Fringe Festival, and I thought this act needs a gimmick, so I got Mr. Piffles, the world’s only magic performing Chihuahua, and he and I have been performing together ever since. Over the last year, he’s been doing mind reading. So he can tell you what you’re thinking, he can predict the future and he can read people’s minds…pretty impressive for a dog. Sometimes it’s just an empty silence. How difficult was it to carve out a place for yourself in this vast and overwhelming world of entertainment choices? Piff: Well, I think one of the only places that exists now is something like “America’s Got Talent,” and that certainly gave me the air time to get the people in America to know who I was and want to come and see the shows. And the best from that is we ended up with a show in Las Vegas, and touring all over the country. Piff: The shows can be family friendly, but sometimes it depends on where we are. We’ll do family friendly shows, but we’ll also do Friday night late shows in a comedy club. That’s a whole different kettle of fish. Describe your comedy for those who don’t know. Piff: I’m a grumpy dragon doing magic. We have a camera so people can see all the stuff on stage very clearly. We do a lot of sleight of hand magic. Piff: “America’s Got Talent” was good because they hadn’t really had somebody coming on and appearing to not really care about winning. But it was fun. It was interesting. Piff: I love being able to do shows. I’d like to be able to do a show every night and really that’s the sort of goal, not really winning “America’s Got Talent,” that wasn’t part of the agenda. I just wanted to be able to translate that airtime into performing all over the country, which we managed to do. I’m guessing you like Mr. Piffles just a bit, too. Piff: Oh yeah, he’s my business partner. I’ve had him for nine years now, so it’s my longest relationship. Does he read your mind too? Piff: No, mostly he just tells me he’s hungry and demands food. Why are podcasts the way to go in this day and age? 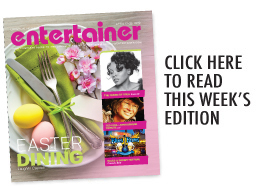 How do they help you personally as an entertainer? Piff: I think people just love hearing what’s going on behind the scenes. It’s a way to sort of feel like people can get to know the act on stage and I think that’s the difference. People really want to feel like they’re getting to know the person behind the act. Talk about touring with Mumford and Sons. Piff: We toured all over the U.K. performing for 150,000 people in a month. It was pretty crazy. That was a lot of fun to do. 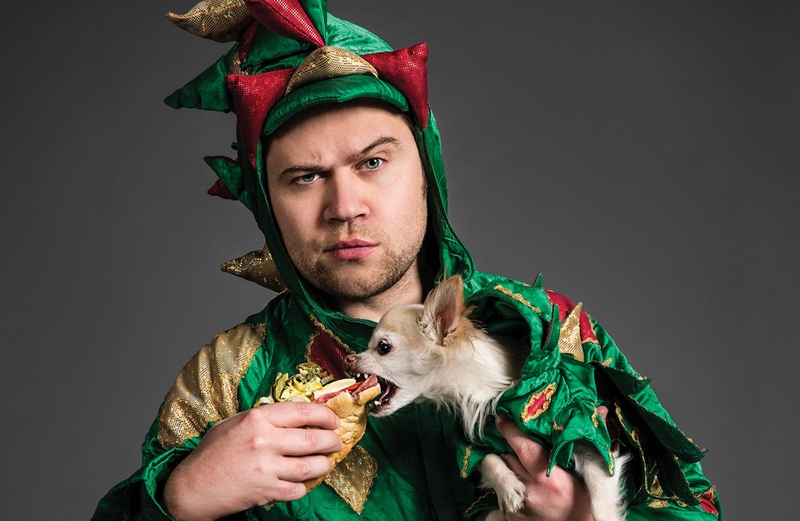 Piff the Magic Dragon recently filmed his first one-hour special. What does it entail and when will it come out? Piff: We’re in the middle of editing it now, so hopefully, by the end of the year or something, we’ll get it out. It’s all of our favorite tricks so far. The set we have on the road at the moment is all new material so it’s been a lot of fun to work on both of those. 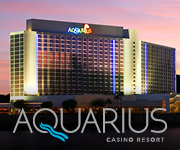 What’s in store for audiences when you bring your show to Harrah’s Laughlin? Do you have an assistant or any special guests in addition to Mr. piffles? Piff: We change it up. You know there’s a different show in Vegas than there is on the road, and so in this show, Mr. Piffles is the star of the show and he is out to read some minds and heal some relationships with his incredible doggy insights. Jade Simone will be coming with us from Vegas. She’s my Las Vegas showgirl. There aren’t many of them left, so you don’t often get to see a showgirl in real life. 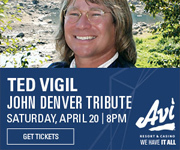 This is going to be our first time in Laughlin and we’re very much looking forward to it.